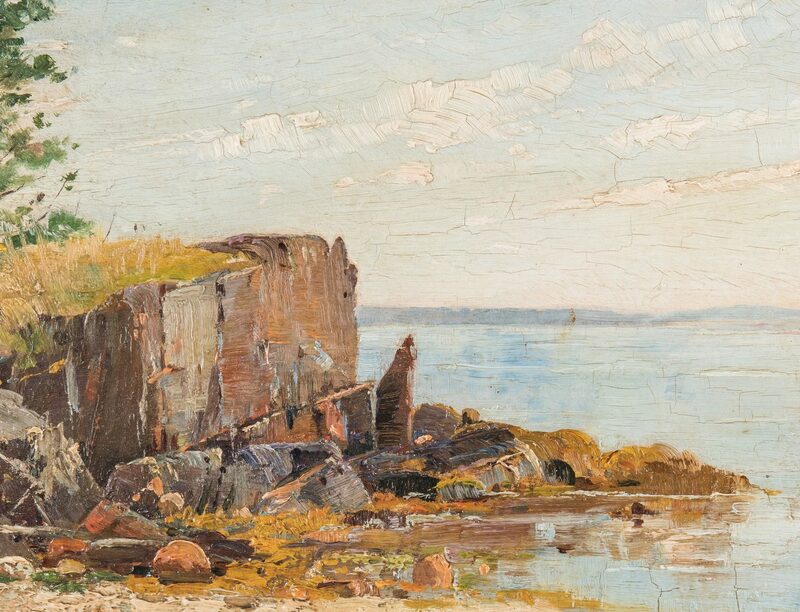 Charles Edwin Lewis Green (American 1844-1915) oil on paperboard landscape painting depicting a rocky shoreline, rendered in a thick impasto technique. Signed lower right. 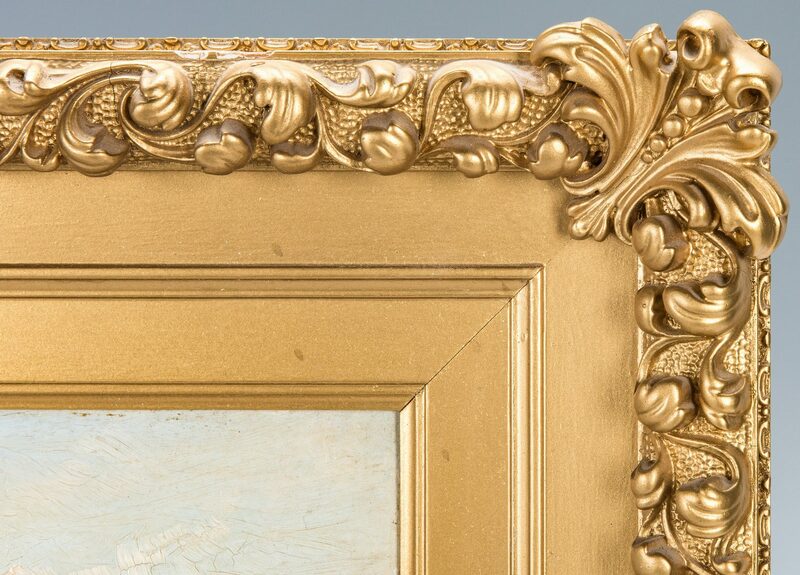 Housed in a period carved gilt wood frame. 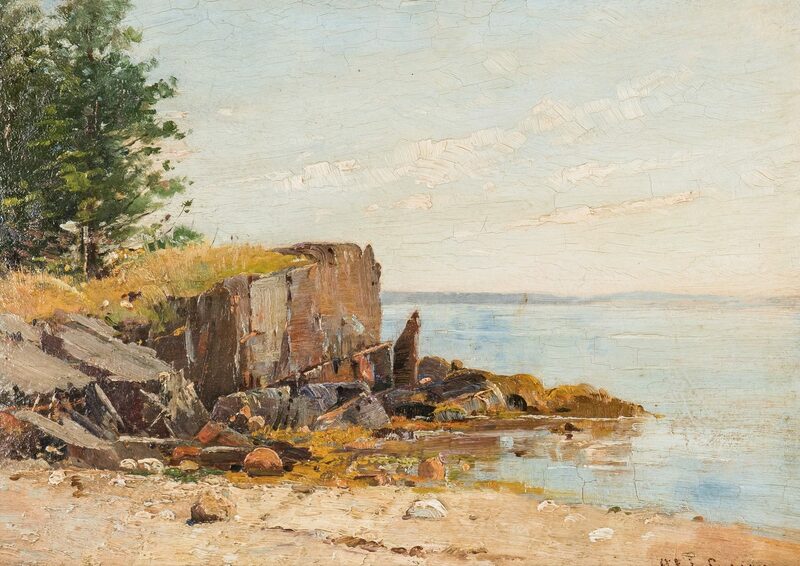 Sight – 9 1/2" H x 13 1/2" W. Framed – 22" H x 18" W. Late 19th century. 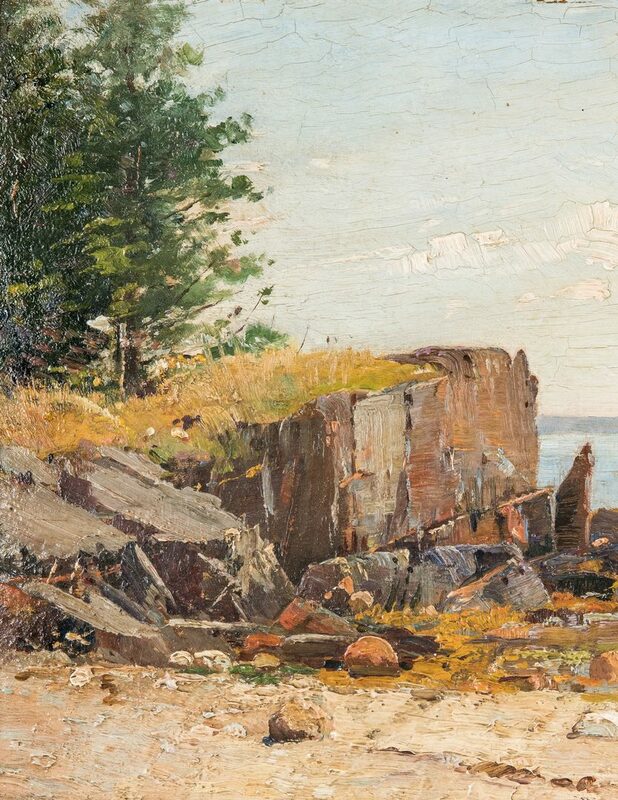 Biography: A native of Lynn, Massachusetts, Charles Green became an artist committed to painting American subject matter, especially the marine and landscape scenes of his native area. 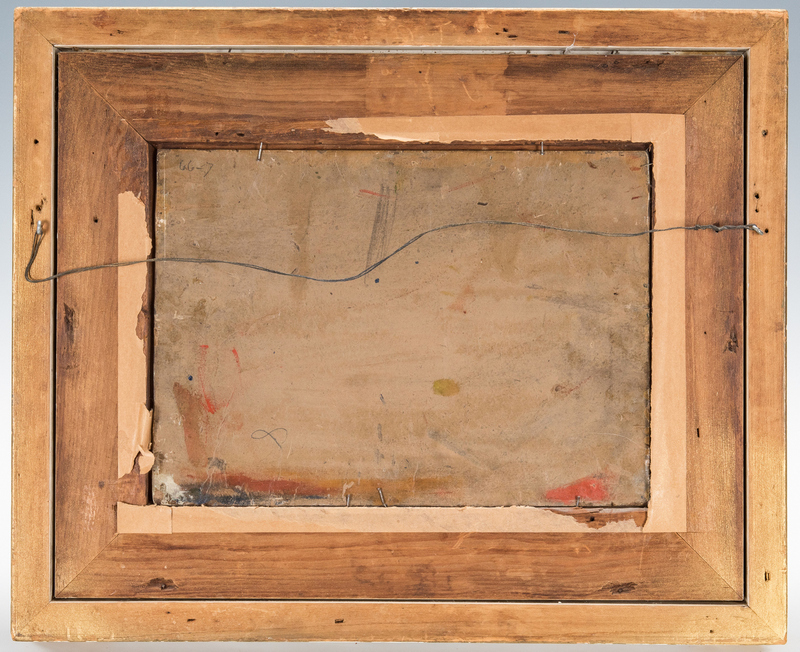 He was part of the seven "Lynn Beach Painters" that included his close friend, Charles Woodbury. 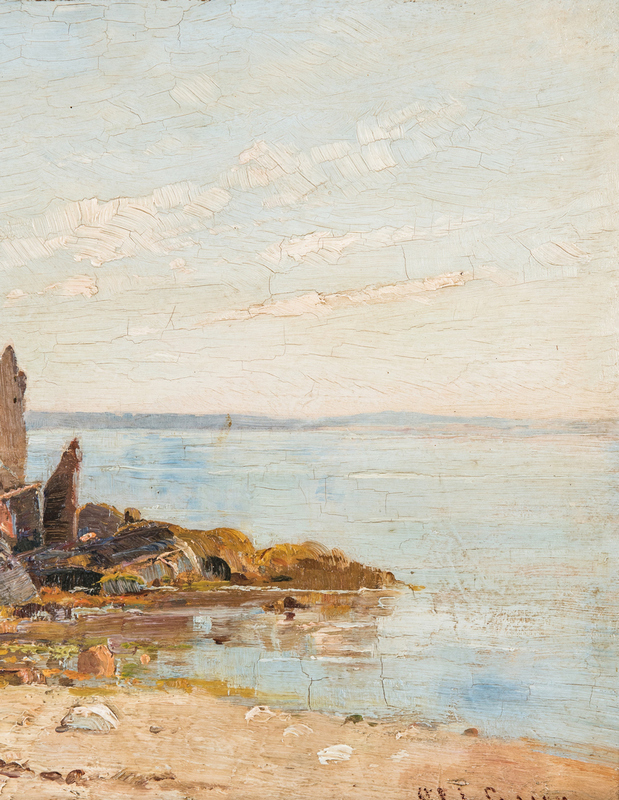 Green had his first one-man show in 1886 at the J Eastman Chase Gallery, one of Boston's most prestigious exhibition venues at that time. 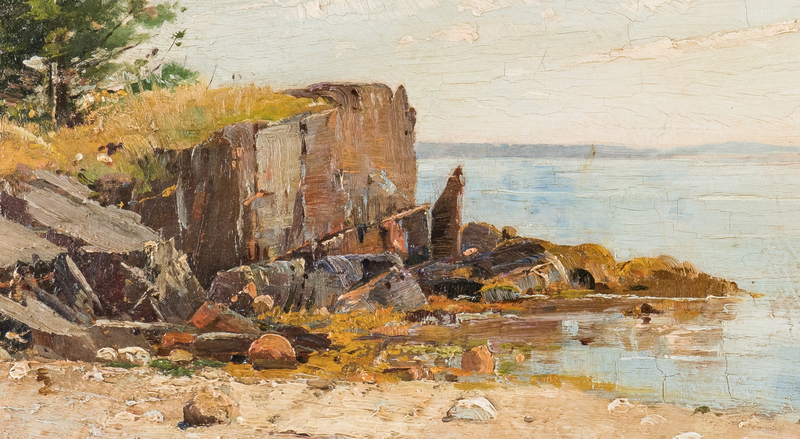 In 1906, Green moved from Boston to his hometown of Lynn where in 1909, he became one of the founders of the Lynn Art Club. 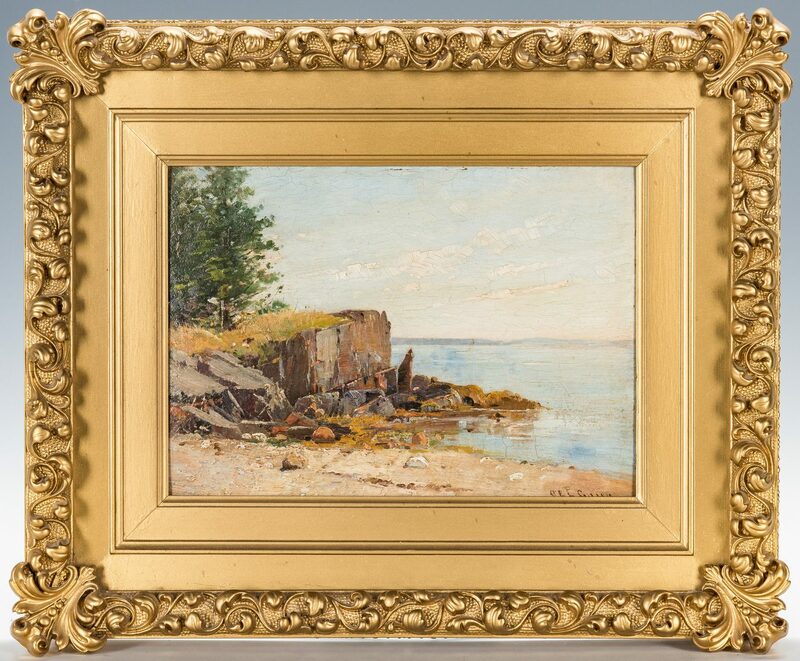 He is remembered as a major influence on succeeding generations of painters inspired to paint local marine scenes of the Boston area. 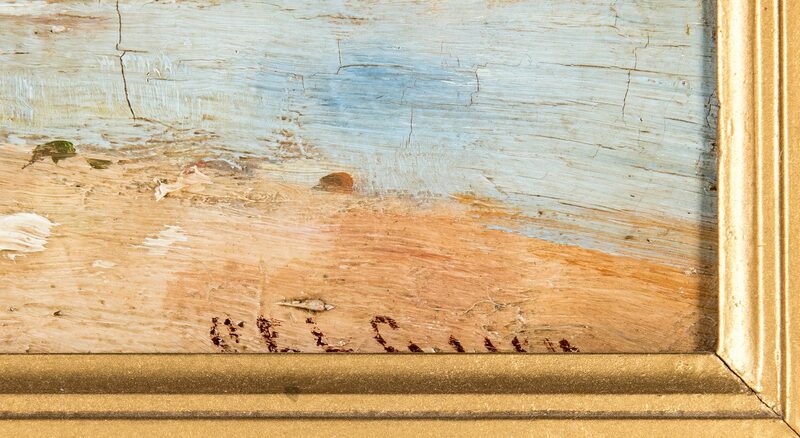 Source: Michael David Zellman, "300 Years of American Art" CONDITION: Craquelure throughout, some chipping along edges.